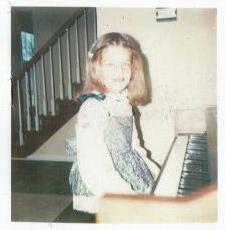 When I was growing up in Ohio, piano lessons and recitals were part of the musical score. The piano was my emotional voice. The piano also has an important place in New Zealand culture. When Adam and his family gave me a piano for my birthday, I was over the moon. A piano was an important cultural symbol in colonial New Zealand (like in many other countries). Families would go to extreme and expensive lengths to place pianos in their parlours. The piano was a link to the old country, and it was also the family's entertainment centre. Many Maori (indigenous New Zealanders) had a piano on the marae. 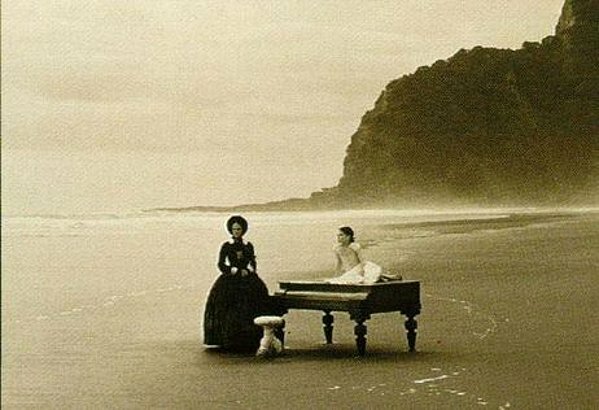 Even before I knew very much about New Zealand, the award-winning film, “The Piano”, captured my imagination. “The Piano” was released in 1993. Directed by New Zealand’s Jane Campion (“Bright Star”), it stars Holly Hunter and a young Kiwi, Anna Paquin ("True Blood"). "The Piano" is about a mute pianist, Ada, who is sent to an arranged marriage in 1850s New Zealand. But when I am in the bush, it is Campion's colonial New Zealand that I imagine. "The Piano" has been a sustaining influence on me. I never saw that movie. I'm adding it to my Netflix list now. I have seen that movie a couple times. They went to such lengths to get the piano there and it was something the mother and daughter shared. So much emotion in that movie. Anger, resentment, denial. I like your very last photo and to me, an amateur who has never been there, it does look like what I saw in the movie. I thought the movie really captured that dark, brooding aspect of the NZ bush very well. Even when it's sunny and beautiful it feels a little dangerous, claustrophobic and primeval, not like the forests at home in Canada. Just saw her latest 'Bright Star' and again a film with lots of repressed emotions, beautifully shot and acted, but such a different feel - all lightness and beauty, empty spaces and flowers. Totally ham fisted at the piano. Loved the film, especially Sam Neill - a big heartthrob of mine. I remember a disturbing scene in that film. I love Holly Hunter. Broadcast News, Always and Home for the Holidays will forever be on our cozy watch list. But I don't know that I'd watch Piano again. Well done movie though from what I remember. Ugh. One of my all time favorite movies. I say Ugh because the theme music is now running my mind and will be all night. One of the olympic skaters used it last week, I can't remember who. My favorite scene is the one the features The Piano and well, the ocean. And uh, depth. I won't say more since you've got some readers heading to netflix but I am haunted to the core by that scene. I think I experienced a similar scenario in a past life. Jane Campion made me want to become a director. Love the pix of you...the tiara rocks.